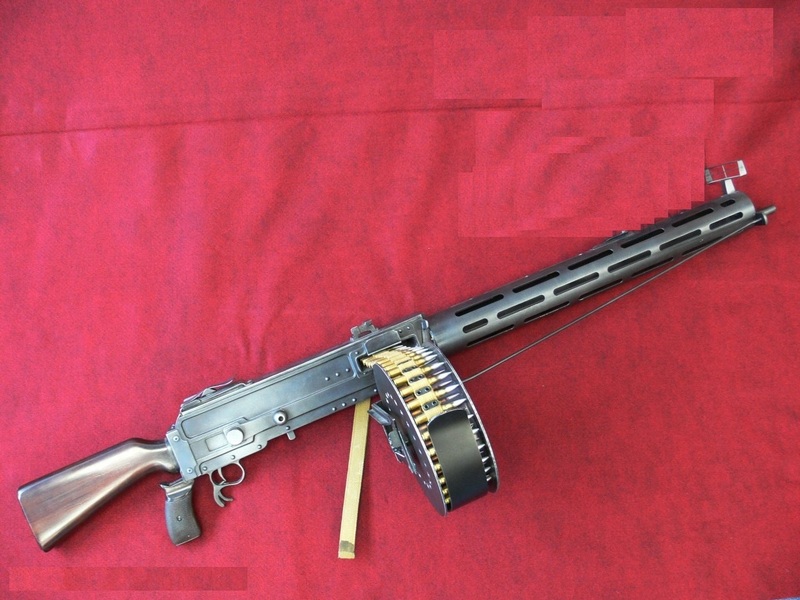 The Parabellum MG14 was a 7.9 mm caliber World War I machine gun built by Deutsche Waffen und Munitionsfabriken. 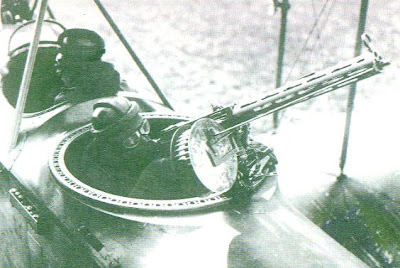 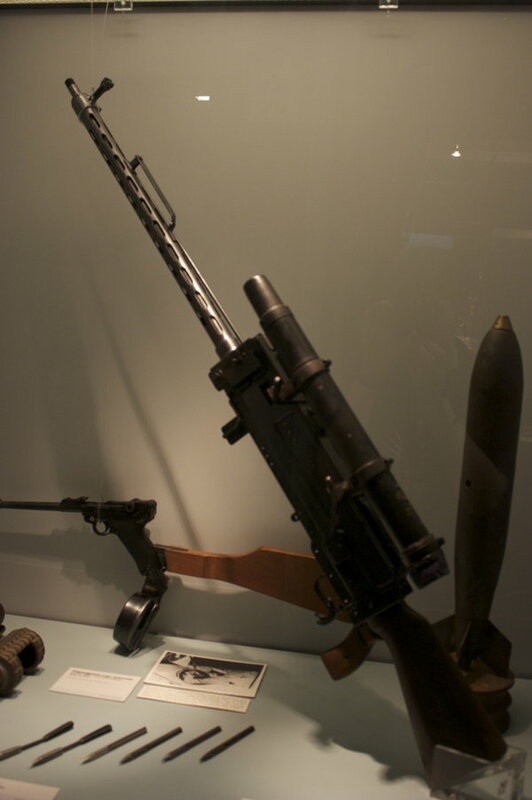 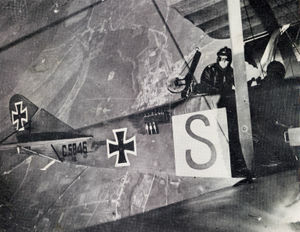 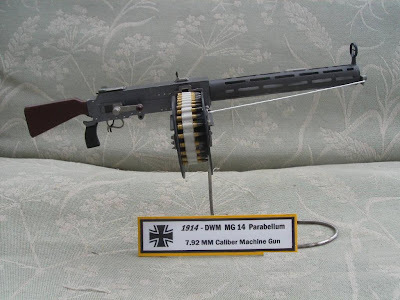 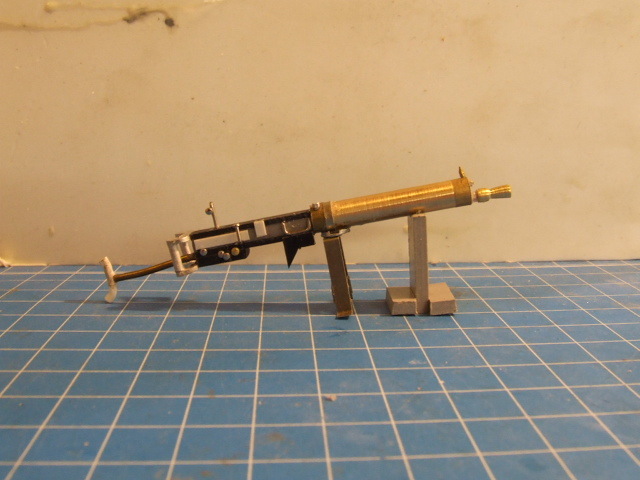 It was an a complete redesign of the Maschinengewehr 08 machine gun system intended for use on aircraft and zeppelins that used a toggle action that broke upwards rather than downwards opposite the MG 08, making for a much more compact receiver. 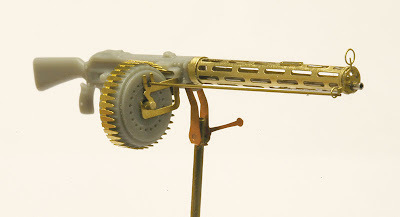 The fusee spring was dispensed with for an internal spring design, the breech block was completely different and the shells dropped out the bottom of the receiver rather than forward through a hole in receiver. 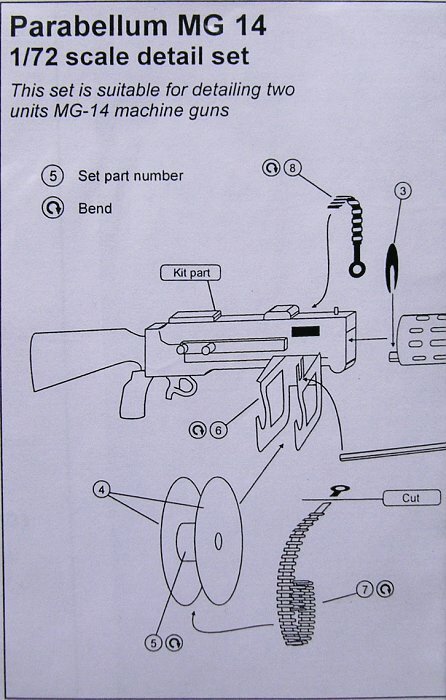 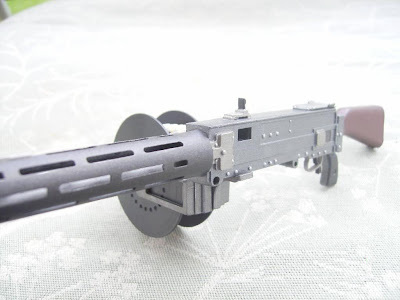 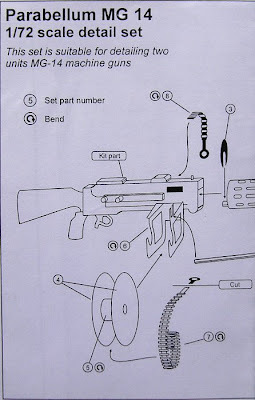 There appears to be no action or receiver parts interchangeable with the MG 08. 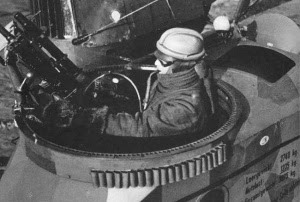 The MG08's belt-style ammunition feed was enclosed in a drum, the recoil casing was lightened, and the cooling jacket was modified for air- instead of water-cooling. 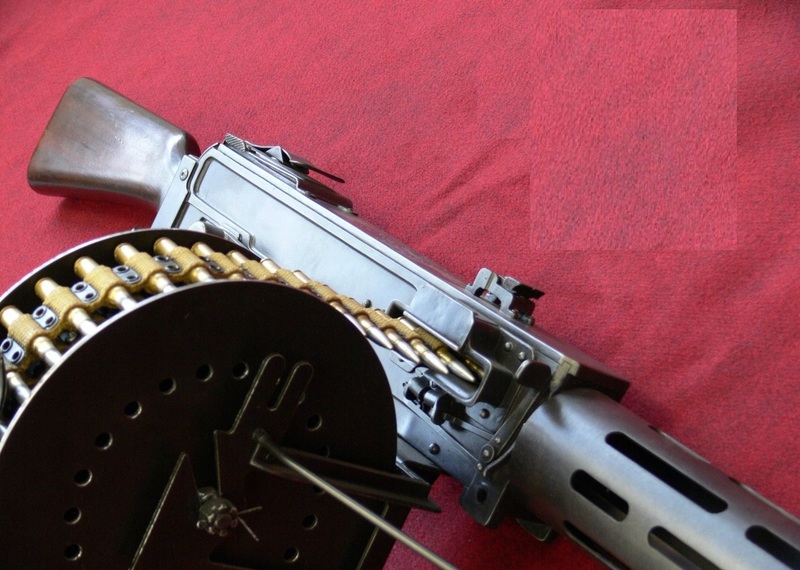 The rate of fire was 700 rounds/minute. The belt was reduced to 30MM in diameter. 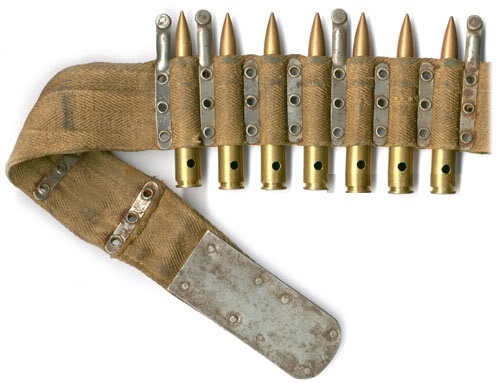 The MG 14 and following on MG 17 did make one important contribution to the fixed forward firing LMG 08's and LMG's 08/15's in that their 30mm wide cloth ammunition belt was compatible with those weapons as the fixed forward firing guns used used fixed ammunition feed guides, and, if all surviving photographs are to be used as a reference, these belts were used exclusively by the Deutsche Luftstreitkräfte for all fixed forward firing guns. The belts can be readily identified by two gromments (instead of three for the wider MG 08 and MG 08/15 belts used by ground forces) and the lack of extended brass tab (also used by the MG 08 and Mg 08/15 ground guns). This not only reduced weight and bulk but it also allowed for much lighter and smaller empty belt chutes that came out of all LMG 08's and LMG 08/15's and led down into storage bins in the aircraft. 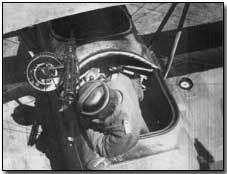 (will get a cite for the photographs--well covered on the Aerodrome Forum).